This year, Oklahoma already had over 230 earthquakes with a magnitude of over 3. In 2008, the average number was 1! It seems quite unlikely for such a dramatic change to happen naturally, especially without other geological indicators. 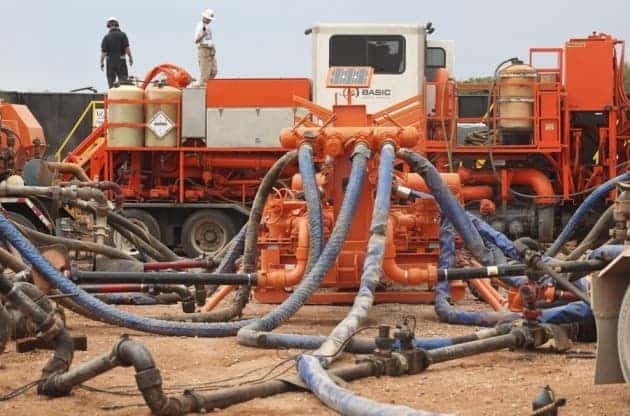 Many geologists and seismologists suspected that this was connected with the recent oil explorations in the area, but they were unable to prove it – until now. Earlier this year, we were reporting a study which concluded that two earthquakes with a magnitude of over 5 were caused by humans, as a result of oil exploration. Now, a new research published in Science showed that the plethora of smaller Oklahoma earthquakes also had a similar origin: wastewater injection. Wastewater is toxic water left over from oil drilling and fracking processes, commonly injected into impermeable layers of rocks, to avoid it leaking into the freshwater, polluting them. It can be linked with hydraulic fracking, but it is also a byproduct of conventional oil exploration. It is also what’s causing these earthquakes in all likelihood. “It really is unprecedented to have this many earthquakes over a broad region like this,” says study co-author Geoffrey Abers of Cornell University. “Most big sequences of earthquakes that we see are either a main shock and a lot of aftershocks or it might be right at the middle of a volcano in a volcanic system or geothermal system. So you might see little swarms but nothing really this distributed and this persistent. Conducting studies such as this one is a hard task not only because of the difficulty of the problem, but because this kind of data isn’t often available. Abers and his colleagues dug up data on the rates and volumes of liquids involved in some of the wastewater injection sites in Oklahoma. They then developed a model, inputting the flow of the water and the properties of the rocks in which it was injected. 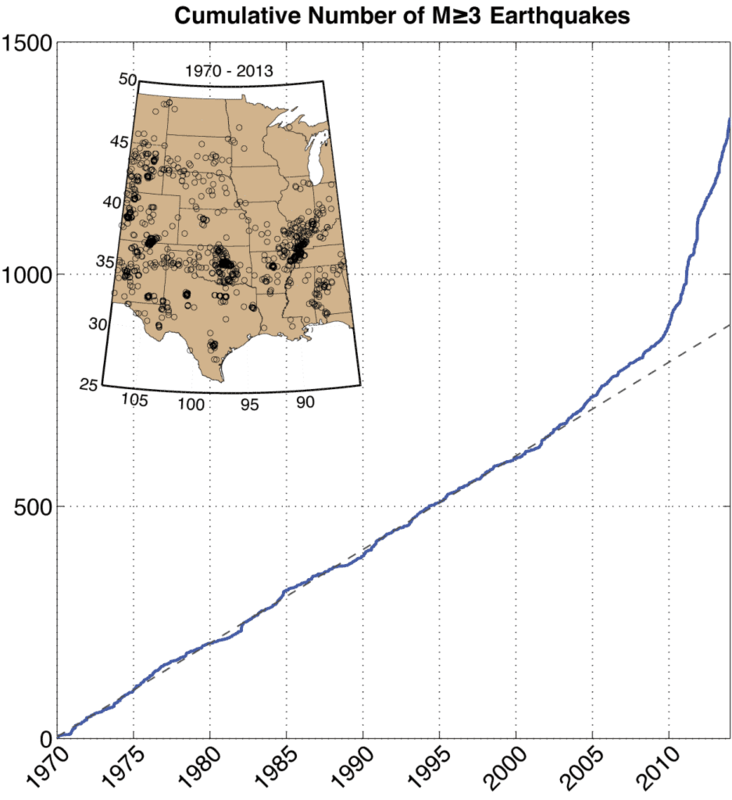 After developing this model, what they found was that even a small number of fracking and extraction sites (smaller than the actual number) can cause significant earthquakes throughout the state – even long distances away, researchers explain. This research seems to be in accord with what other researchers found on the topic. Seismologist Austin Holland of the Oklahoma Geological Survey, who was not involved in the study, says that while there are many factors at play here, he also has found connections between the oil explorations and the surge of earthquakes in Oklahoma. “Just how important is it to produce oil and gas in Oklahoma, and are we willing to deal with the issues of these disposal wells in order to produce the oil and gas that we are accustomed to producing?” he asks.